A person may be involved in many types of accidents during his or her lifetime, any one of which could cause a serious, or even life-threatening injury. However, there are some accidents that are more dangerous than others. For instance, a bicycle accident can be particularly damaging. Because a bicyclist is not provided much protection, they stand little chance of avoiding serious injury, or even death, in the event of an accident, especially one involving a motor vehicle. As a result, the bicycle accident victim may be eligible to file a personal injury or wrongful death lawsuit so that just financial compensation can be collected by the accident victim or the victim’s family. Attorney Lynn Harris has represented numerous bicycle accident lawsuits in the Provo, UT area and can advise clients on their legal options following an accident. When it comes to a bicycle accident, liability is determined based on many of the same factors that are used to determine fault in a vehicle collision. There are state and local traffic laws that must be followed by drivers of vehicles, as well as cyclists. It is also the duty of drivers and cyclists to take precaution in protecting the safety of themselves and others on the road. If proper precautions are not met, or if traffic laws are not adhered to, that person is likely to be deemed liable for the bicycle accident, and any damages that may have resulted from that accident. Attorney Lynn Harris is experienced in working on bicycle accident lawsuits and works with experts in the field so that a strong case of liability can be built when seeking compensation for bicycle accident damages. 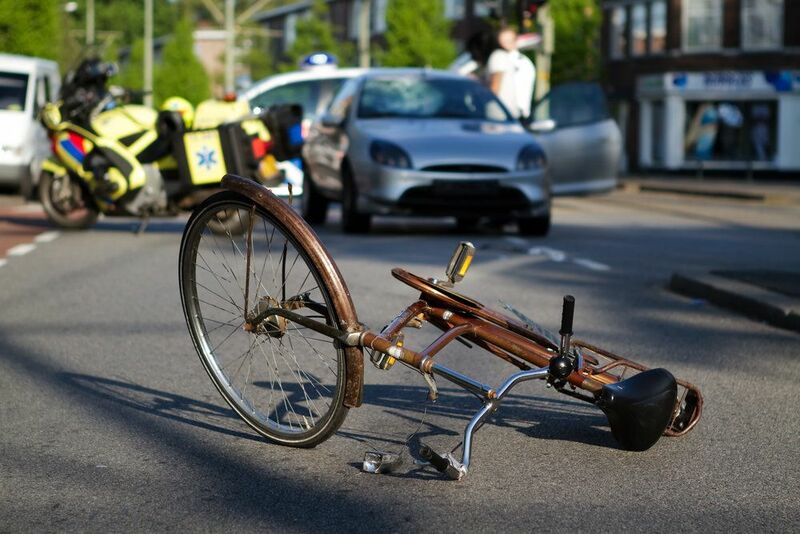 When a bicycle is involved in an accident with an automobile, the damages are likely to be severe. A bicycle accident has a high likelihood of resulting in serious or even fatal injuries. Survivors of bicycle accidents may be due compensation for damages such as medical expenses, lost wages, future medical expenses, and pain and suffering. In the case that death occurs, surviving family members may file a wrongful death lawsuit. These cases may result in financial compensation for medical and funeral expenses, loss of future earnings, benefits, inheritance, and pain and suffering. Mr. Harris will determine the type of damages that should be sought based on the unique circumstances of each accident. If you’ve been involved in a bicycle accident, it is important to work with an experienced accident attorney such as Lynn C. Harris. Contact us at your earliest convenience to discuss the details of your case and learn what your best course of action may be. We look forward to hearing from you!